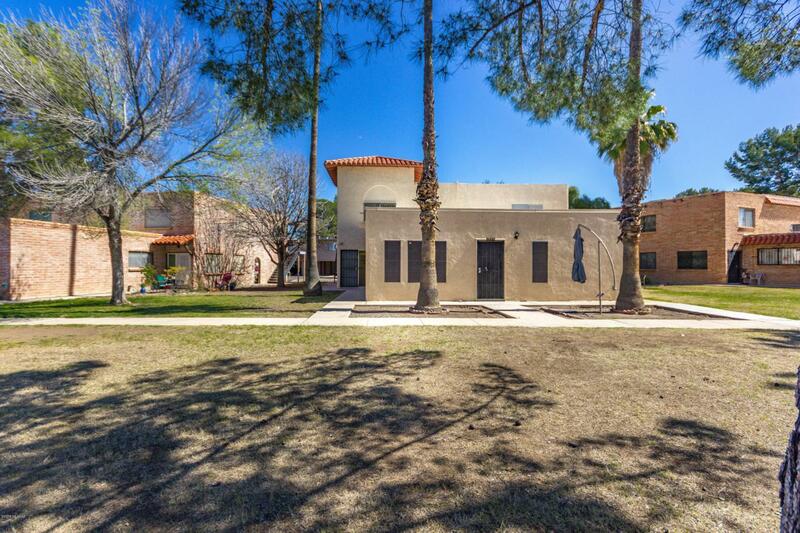 The Meadows in the desirable NE location - Tanque Verde & Kolb. Popular neighborhood with 2 pools, wide open spaces, and nice landscaping. Conveniently located near restaurants, shopping, entertainment and great walking paths. Each unit has one carport space, with additional storage. Each building has 4 units with its own coin-operated laundry. Pop corn has been removed and ceiling is painted. The HOA fee covers water, sewer, gas, trash, roof, exterior maintenance, pest control, and maintenance of all common areas.